The Shadow model comes at you with a modern styling with smooth, straight lines. 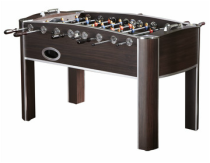 Its darker external appearance coupled with glossy black and silver players gives this model a classy and stylish look. 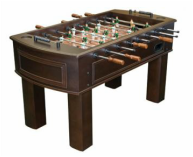 It isn't a table known for frills but has a solid cabinet design that makes for great playing games at all ages. 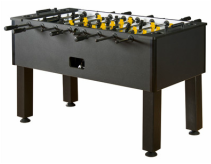 There are manual sliding scorers, end ball returns, solid table legs and even black plastic end caps on the rods to protect your family from accidents. 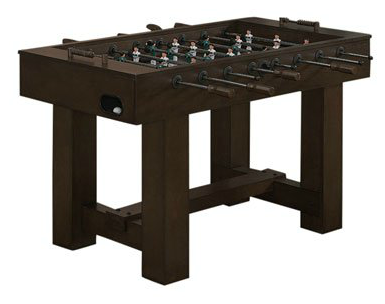 This is a solid table if you aren't interested in playing foos at the tournament level. 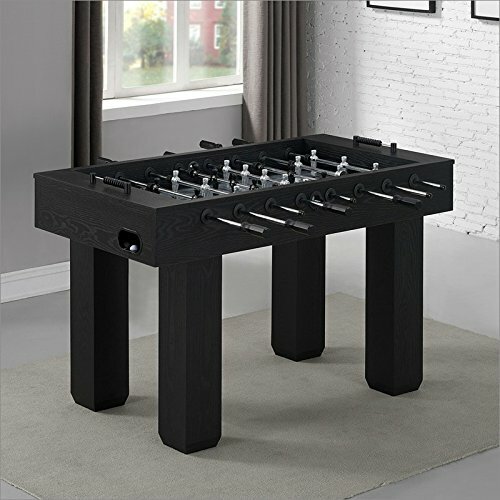 This table is priced at around $900 US.